Every team has stories of rookies emerging when it matters most to make an impact. In another successful year for the Dalhousie Tigers women’s volleyball team, this player was transatlantic transfer student Desirée Nouwen. Adjustments occurred for the 25-year-old both off and on the court, where Nouwen also had to adapt to playing left side hitter, a new position for her. “Playing on this team in a new position was like a challenge for me, something personal, a new experience for me,” says the eight-year veteran of semiprofessional volleyball. Not only did Nouwen take the opportunity to come to Dalhousie University and play for the Tigers, she excelled in the Tigers’ successful Atlantic University Sport (AUS) title defense. She was named an AUS first team all-star for her performance throughout the season and earned AUS championship MVP honours. Taking little away from her individual awards and more from the team’s strong performance, the humble Nouwen looks back on her first year in Halifax fondly, even if it ended without a national championship. Outside school and sports, Nouwen stayed with a host family near campus. Having already had the residence experience, she feels living with a family was the best thing for her. Nouwen believes that not only did living with a family suit her better, it helped her cope with being far away from home and the time difference between Canada and the Netherlands. Focusing on volleyball and her studies, Nouwen says she was still able to experience parts of Nova Scotia. “We were busy with volleyball and didn’t get to see many things but I did go to Peggy’s Cove, Digby, Bay of Fundy and do whale watching, which was incredible,” she says. 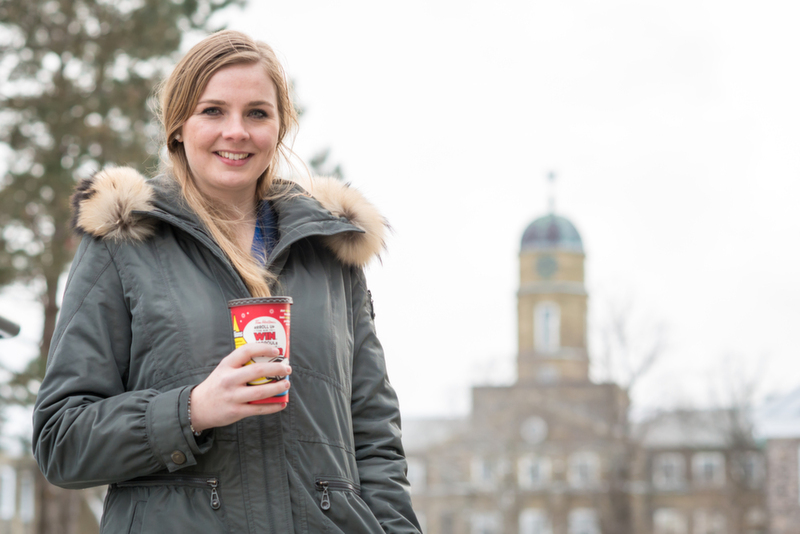 Now that the volleyball season is over and the academic year nears its end, Nouwen plans to have her mother come visit and discover more of Nova Scotia and the rest of the country as well.